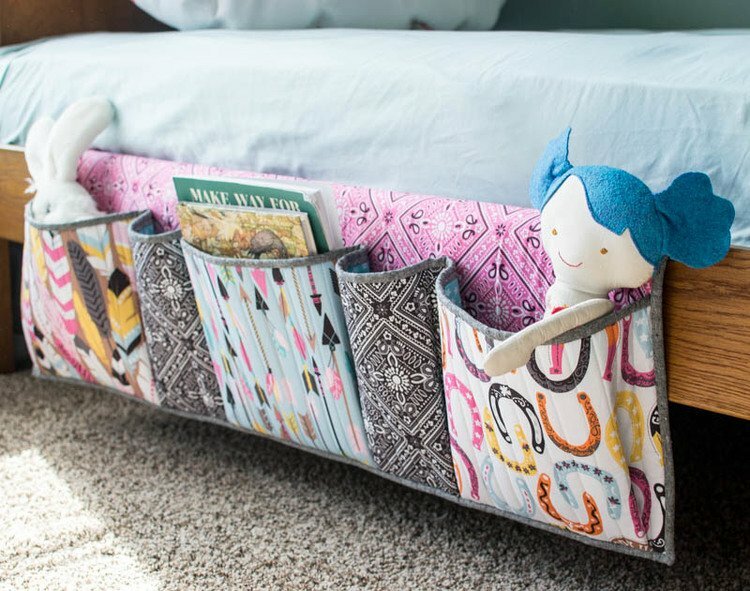 If you’ve been sewing your whole life or just recently found out that sewing is even a thing, you’ll probably love these projects. Some of them are easier, others are harder. However, they all have one thing in common – they’ll help you to stay more organized. Our homes get messy all the time and keeping everything in the right places can be a challenge. 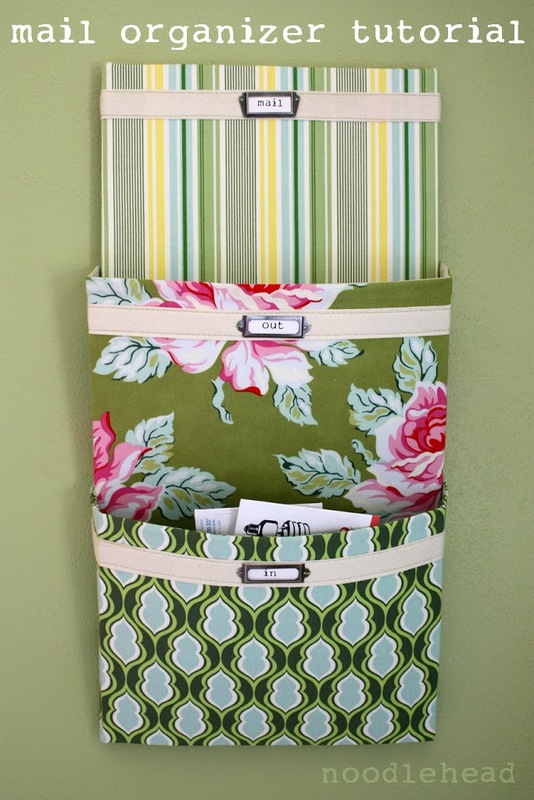 So, use your sewing skills to make your own fabric organizers at home! All these projects are fun and interesting. Click on the links under the pictures to get to the sewing tutorials. If you’re a pro who’s searching for some inspiration, these ideas might give you a little something of that too! A storage cube can be used in so many ways. 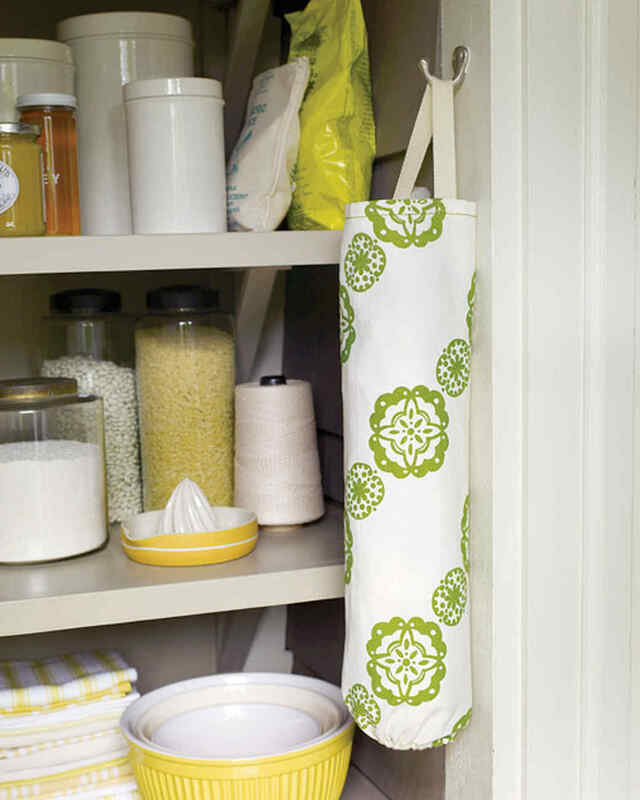 In the kitchen, you can use it for storing cloths, napkin, bin bags, and other light items. In the hallway, you can store scarfs and gloves in it. While if you use it in the bedroom, you could put anything from makeup products to hair ties in there. Another great thing is that you can control the size of the cube. Thus, you can make it as big or as small as you need. 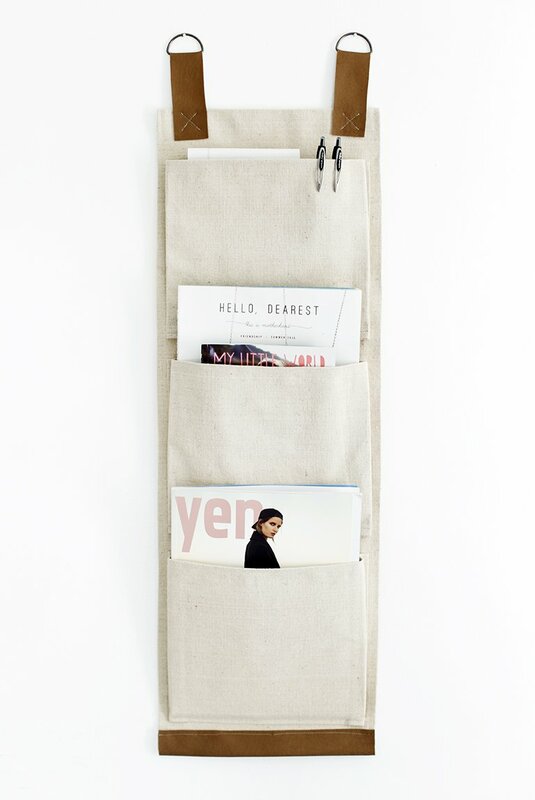 If you’ve been dreaming of a fabric version of a mail organizer, here is a quick idea. Make your own mail organizer. All you’ll need is some fabrics and artist canvas, and imagination! The organizer doesn’t have to be used just for organizing mail. Feel free to store your journals, papers and other light items there. 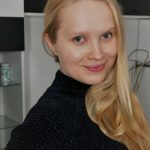 If makeup is your best friend and you absolutely enjoy doing it, then you might as well love this little DIY makeup roll. It’s not exactly for makeup, it’s for your brushes. However, it’s super easy just to hang it. But also, you could just as well roll it up and bring all the makeup brushes to work. 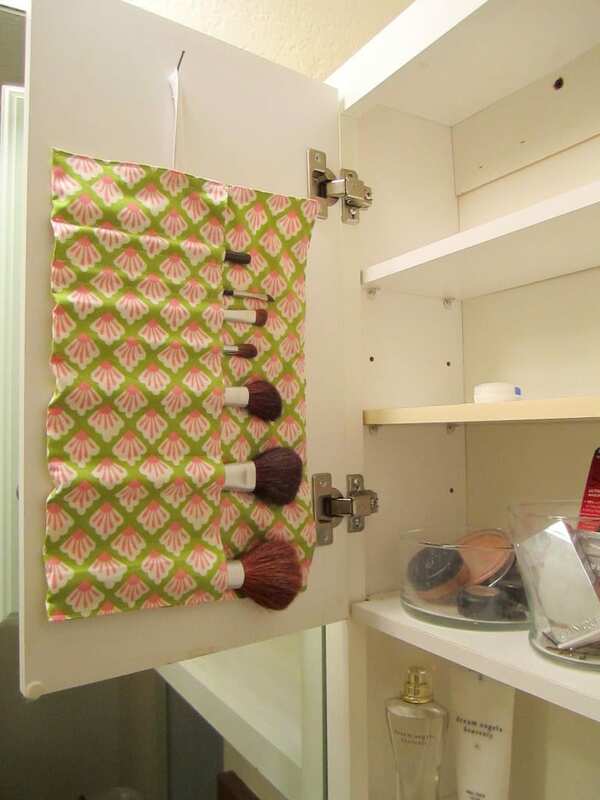 Want more ideas on how to keep your beauty products organized? Read this post here. If you’re a fan of photography and have multiple lenses, you know how careful you want to be with them. These little lens cases are great for storing them. Also, these, lens backs could very well be used for storing anything else: makeup items or even herbs, spices and dry food. 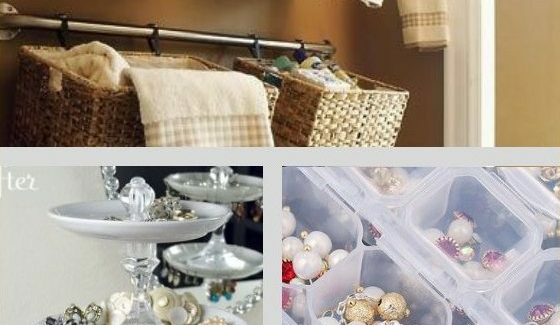 So, these are very versatile when it comes to organizing your home. This little storage unit is great by the bedside or even in the kitchen. You can use it to store the little things that would otherwise get lost. 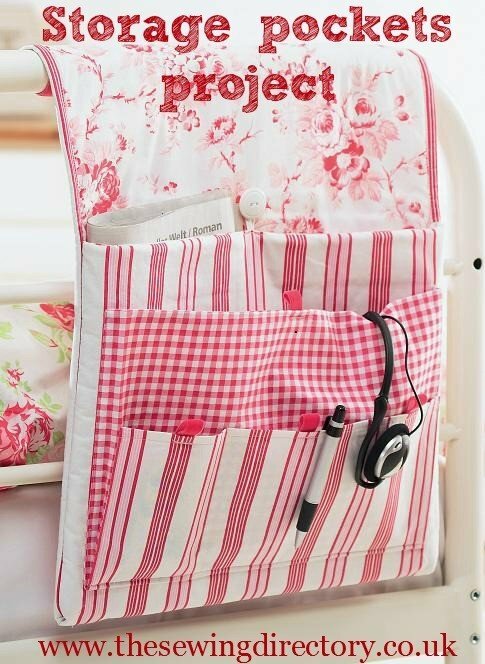 If reading a book before going to bed is your favorite thing, then a bedside pocket organizer is exactly what you need. Bedside organizers are also great for storing pencils and notebooks. So, if you love to write down what you’ve accomplished during the day, this is a great project to try. There is nothing better than writing down a few self-affirmation sentences before the sleep. When I first saw this project, I knew I absolutely needed to try it. Especially if your closet has giant shelves that need extra organizers in them. 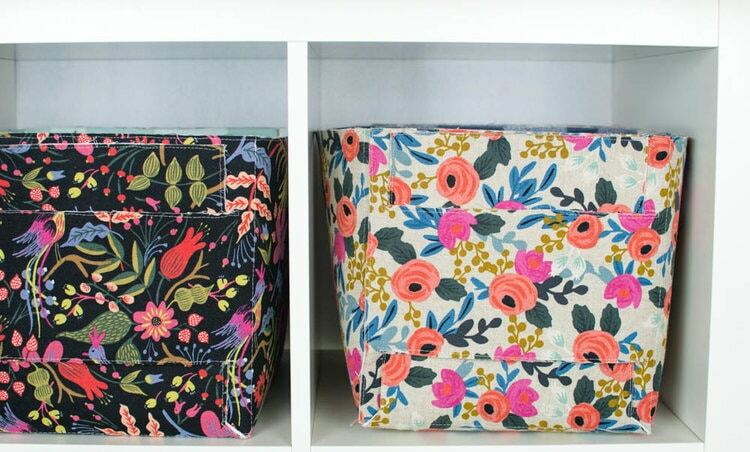 These storage baskets are great for keeping all your socks and underwear. However, you could very well use them as a decoration in the bathroom and keep all your towels in it. Obviously, only when they’re dry! However, it’s a great idea if you have a little Airbnb or a bathroom for guests and want to make it a little more special. This little project is great if you’re a beginner to sewing. It’s pretty simple and you should be able to get a hang of it pretty soon. Another great thing about is that you can use whatever fabrics you have at home and just practice. 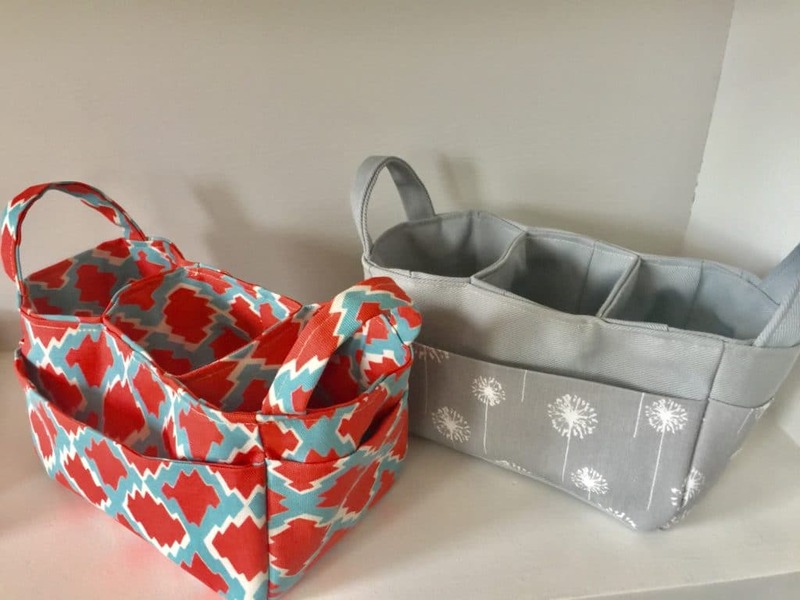 Peg bags don’t need to look fancy! Feel free to have it in your closet. Store belts, headbands and other accessories that would otherwise get lost. So, definitely try this one! This little project is great if you have kids. However, you can definitely make one for yourself. 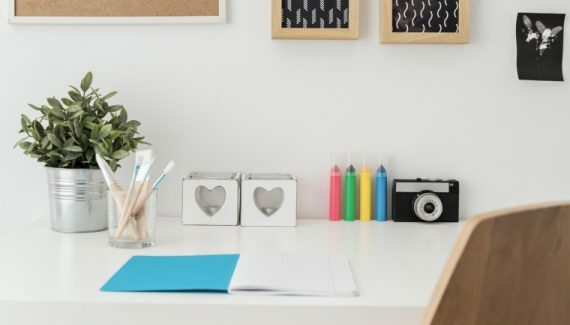 There are so many patterns you can play with and these cases will help you to keep your office organized. How many times have you needed a pencil and couldn’t find one? That won’t be a problem any longer! These cases can be used for storing makeup and brushes too. This is more of a hack rather than an organization tip, but I thought I would include it. 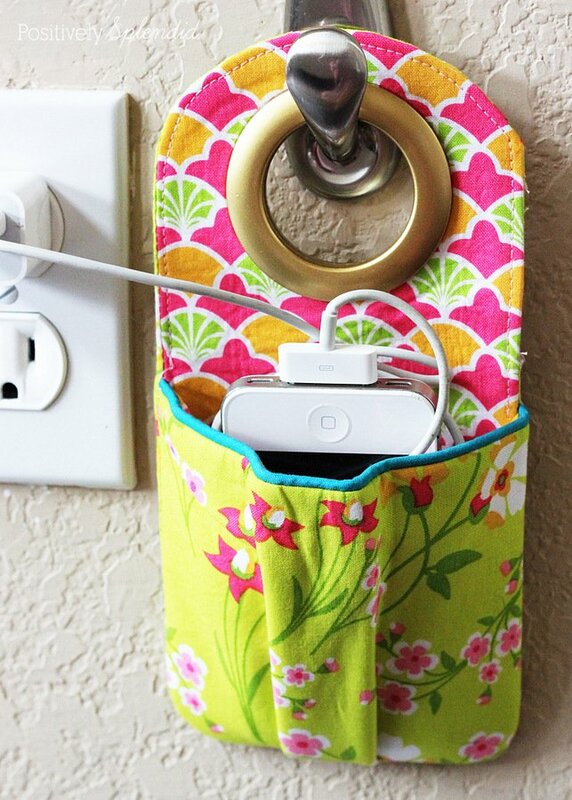 Make your own fabric phone charging station. Especially if you have pets who find long cables very attractive! All you’ll need is some fabric and a command hook. Make one yourself and stop worrying about keeping your phone charged. Shouldn’t be a problem. 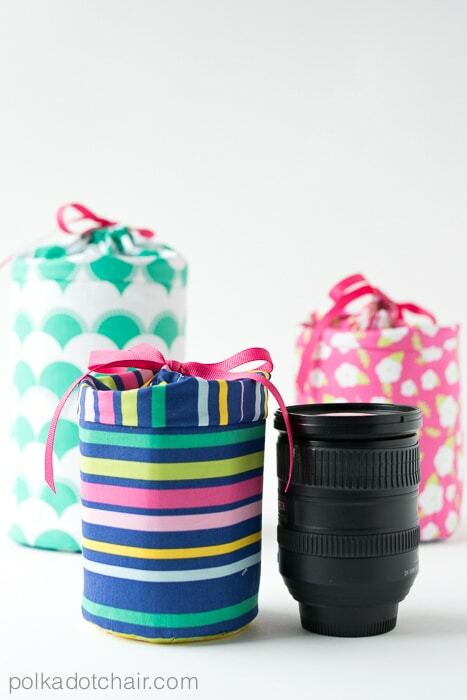 These DIY caddies are great for storing your underwear, socks, and accessories. Actually, they’re not that bad for traveling too. Overall, these will help you to keep your drawers or shelves nice and neat. That’s especially if you have a big family. Each member now can have a caddy of their own with all the accessories and clothing items. Definitely try making this one and have fun with it. 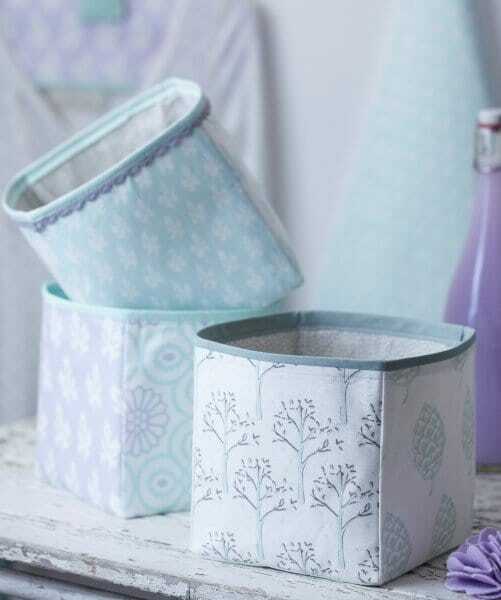 These caddies are also great for storing anything relating to sewing and knitting. They also, look really good. So, you could definitely have them somewhere in the corner of the room and they’d look totally cute. 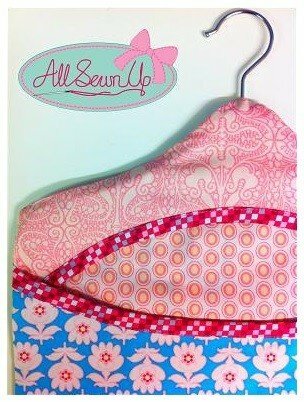 This is a great project for someone who’s not familiar with sewing. 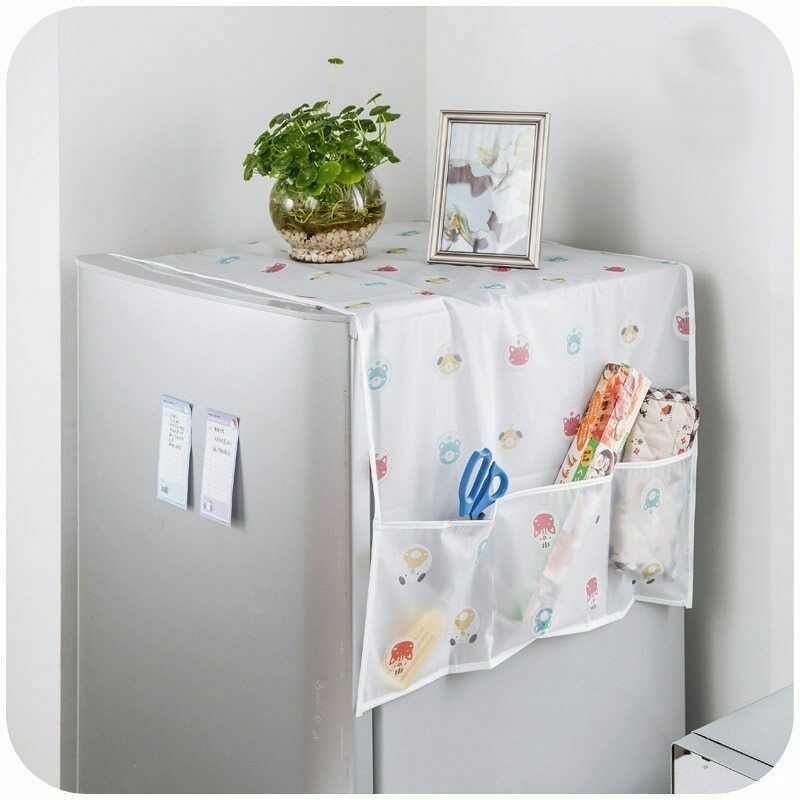 The idea behind it is that you can cover your fridge and save it from getting dusty. 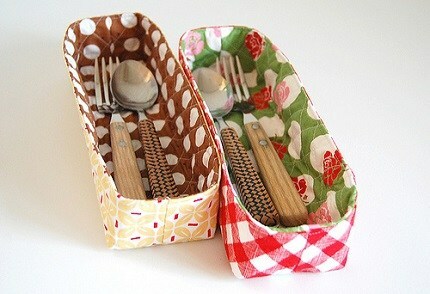 However, on the side, you can sew on a few pockets that can store smaller kitchen items. Overall, an interesting project that will give your kitchen a little more color. Use these colorful organizer baskets to keep your kitchen drawers organized. You can use different fabrics to design them according to your style. They’re great for storing forks, spoons and cutting knives. However, you could organize any drawer with these. These wall pockets look neat, you cannot even tell they’re handmade. You can make one and use it as a wall piece. 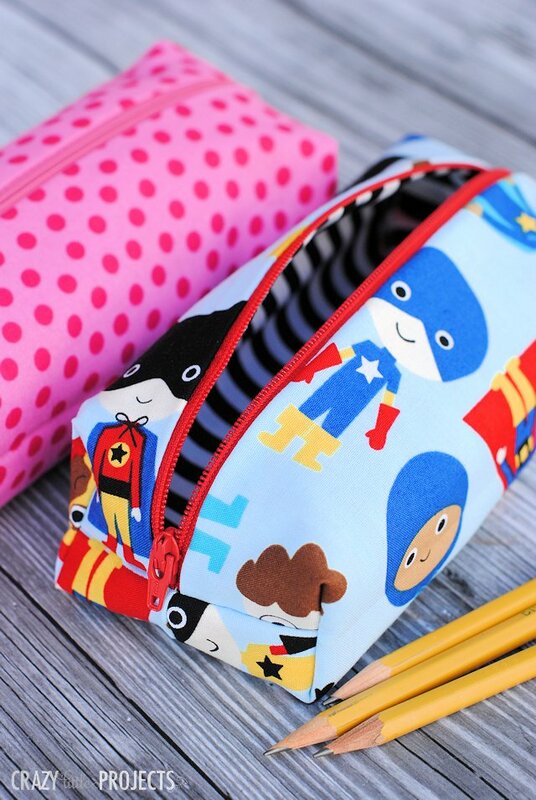 However, it’s also great for storing journals, notepads, and pencils too. Look great in the bedroom but would suit the office space just as well. Plastic bags can get out of hand very quickly. Especially if you pile them up in your drawers or on shelves. So, this little organizer will help you keep your kitchen clean! Also, since the bag is so long, it’s pretty good for storing noodles and other dry goodies. 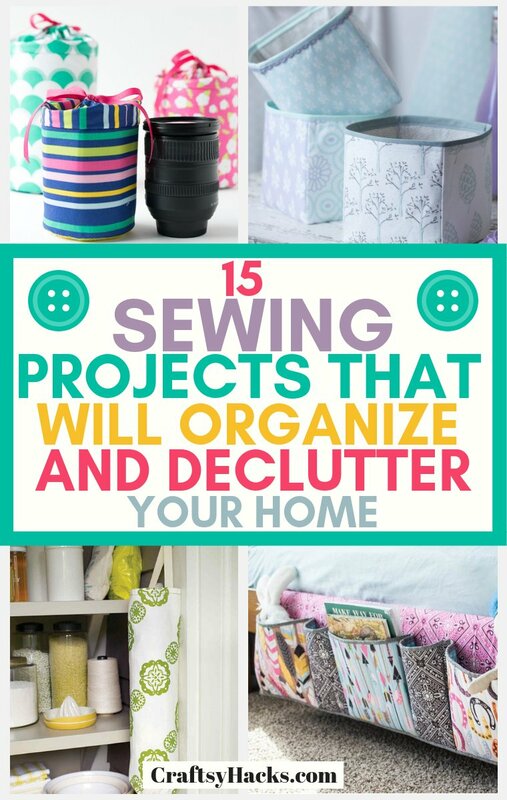 I hope you’ve enjoyed these sewing projects for keeping your home organized. As you can see, you can use them to organize the kitchen and create more storage in a stylish room. So, use your sewing skills and let your creativity burst!